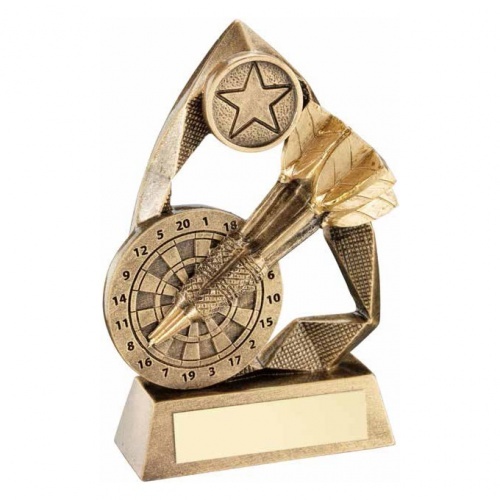 These darts awards trophies are made in durable resin with a bronze and gold colour finish. They feature a detailed scene with darts, dart board and a star set on a bevelled base with engraving plaque. Available in three sizes, offered with engraving options.